The stock market is on it's 18 month high and up 230% since March of 2009! So when will this bull market end? A market correction could be in the near future. 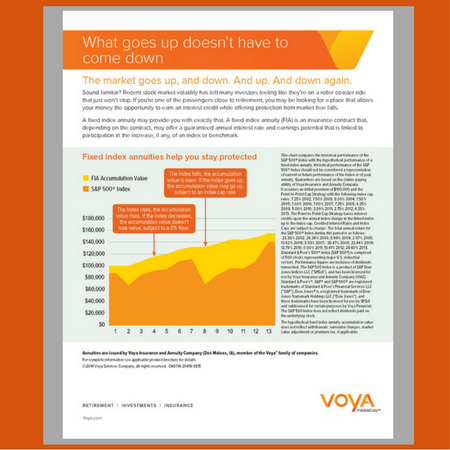 Now is the time to have a conversation with your clients on their investment gain opportunities and the up sides of Fixed Indexed Annuities. The current bull market is on a high streak and thus an attractive time to investment for retirees. However, given the market history a correction is likely in the future. Santoli: 2017 could be the bull market's big finale, describes the "bull market as a phase, when the public gets excited about the market, the economy edges toward overheating and stock valuations get stretched a bit too high, inviting the next downturn." What does this mean for your client's who are looking to get gains on their investment for retirement? Fixed indexed annuities protect your client's investments by providing a safe zone for their investment. That means your client can never lose their original investment, but get growth opportunity if the market goes up! Download and use this client facing one sheet with graph to show the potential FIA Accumulation Value in comparison to the S&P 500 Index. 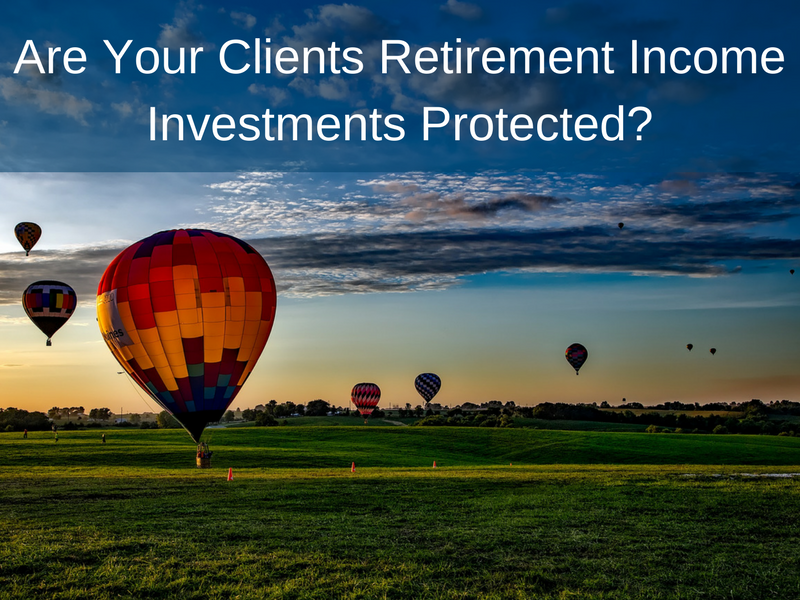 This illustrates the FIA investment opportunity to your clients as well as provides them with confidence that their retirement income will be there when they need it. DOWNLOAD YOUR COPY OF THE CLIENT FACING ONE SHEET HERE! It is no wonder that the popularity of Fixed Indexed Annuities (FIA) is increasing due in part to the roller coaster ride the stock market has taken in the last decade. News headlines speak of potential increases to the Fed's benchmark interest rate this month, which would correlate to more earning potential from a Fixed Indexed Annuity. Now is the time to start a conversation on the opportunities of FIA participation with your clients. Do you have a question on a case? Speak with an expert from our Annuity Team at 888-343-7772 ext 157. Also, let us know if this one sheet is helpful to your business? Click Here: Get Fixed and Fixed Indexed Rates Weekly to Your Email!